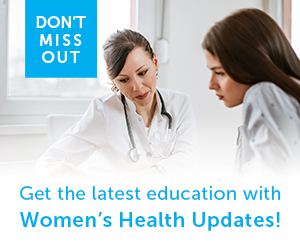 Issues of vaginal health are commonly seen in post-menopausal women, breast cancer survivors and women who have had a hysterectomy. According to the US Census Bureau there are nearly 46M women between the ages of 50 and 80, and over 2.8M breast cancer survivors. Existing treatments for post-menopause vaginal health can be time intensive or messy, or contraindicated for health reasons. They also can have numerous side-effects and offer only marginal improvement -- according to a doctor associated with the study. Host Dr. Prathima Setty welcomes Dr. Mickey Karram, Director of Fellowship Program on Female Pelvic Medicine & Reconstructive Surgery at The Christ Hospital, Cincinnati, OH. Dr. Karram will share preliminary findings from a trail evaluating laser treatment on post-menopausal women and breast cancer survivors experiencing vaginal health issues.